My students love to write "their version" of their favorite books. It's not quite fan fiction because they create their own characters, it's more like them telling the same plot in their own way. 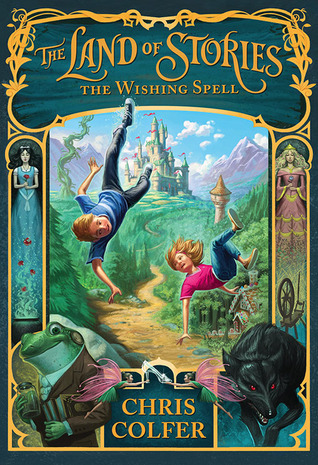 Chris Colfer's The Land of Stories series is highly imitated in our class. It's easy to see why. Colfer created a land where all the fairy tale characters live together, ready to be explored by twins Alex and Conner. My students are at an age where they are able to play with these familiar tales, so they appreciate how well Colfer does it. I loved that Snow White's Evil Stepmother got a backstory that explained her behavior. It's good for kids to see a more fleshed out character. While I found the book overly long, I enjoyed it and have already been given the second in the series by a student. So it goes on my summer reading pile and I'll see what other adventures Colfer has written that are worthy of homage.